Sam Twiston-Davies has been handed the challenge of riding Blaklion to victory in the Grand National. The bay gelding is considered the favourite for the event at Aintree, with 2017 champion One For Arthur sidelined due to injury. 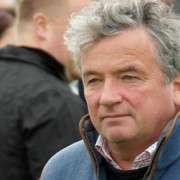 Nigel Twiston-Davies has put faith in his son to deliver the win at the prestigious event, despite his mediocre record at the National. The 25-year-old does not have the pedigree of jockeys that will be his rivals in the race, although the quality of Blaklion will hand Twiston-Davies a huge advantage. The bay gelding failed to fire in his last outing in the Grand National Trial Handicap Chase at Haydock Park. Although he finished in second place, he trailed winner Yala Enki by 54 lengths. As a result, there is work ahead of father and son to get into gear before the race in April. Blaklion has the ability to blow away the rest of the field, and is being backed as one of the favourites in the race. Experienced heads and horse racing novices are backing the nine-year-old to triumph in the race, as Twiston-Davies searches for glory in 2018’s biggest showdown. As an amateur rider, Twiston-Davies made his debut at the Grand National on the back of Hello Bud in 2010. The Irish horse was an outsider for the event with a great deal of experience under his belt. He made a bright start to the event taking the lead in the early stages. However, the rest of the field soon surpassed the veteran competitor. Twiston-Davies ensured that his charge had a strong finish to the race, finishing fifth in the event. 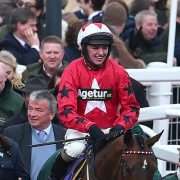 The duo returned together at the race in 2011 but, on this occasion, the rigours of the meet proved to be too tough for the 13-year-old, with the Irish horse pulling up after a good go at the 29th fence. Father and son kept faith with Hello Bud for a final run in 2012, although, on this occasion, he was a rank outsider at 33/1. However, Twiston-Davies got a fine tune out of the bay gelding, tracking the leading pack to the closing stages of the race. With three fences remaining, he was within striking distance but just lacked the pace to make a charge down the stretch, placing in seventh. Hello Bud signed off with the father and son team with a victory at the Becher Handicap Chase at the end of 2012, ending a distinguished career. Imperial Commander was placed in the trust of Sam by his father for the 2013 Grand National. The 2010 Gold Cup Winner was fancied for the race, featuring among the leading contenders. However, Becher’s Brook got the better of the 12-year-old, with the Irish horse pulling up at the notorious fence. 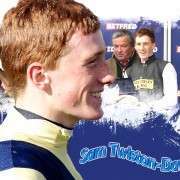 Sam partnered with Paul Nicholls for the next campaign, moving away from his father’s stable. Tidal Bay was a solid competitor but it was not a match made in heaven as Twiston-Davies was unseated at Canal Turn. Rocky Creek appeared to be a better fit in 2015 after winning the BetBright Chase in the final race before the Grand National. However, jockey and horse could not replicate the same form from Kempton Park at Aintree, finishing 17th in the meet, well off the pace. 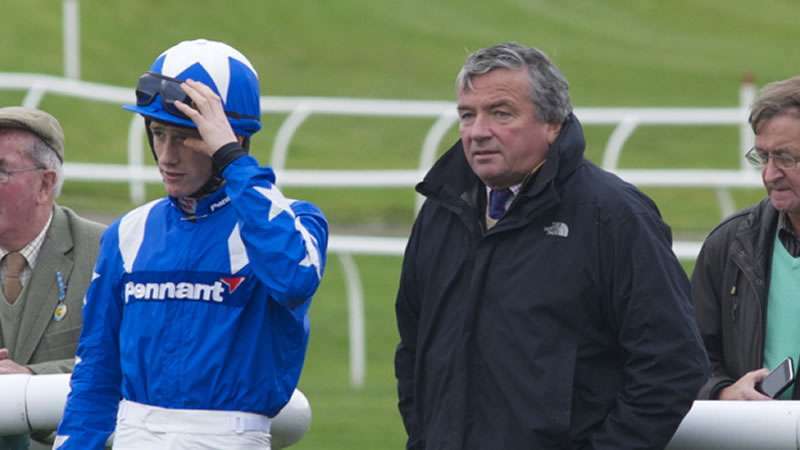 The following year would not bring success either as Nicholls put forward French horse Wonderful Charm at the event. However, he did not have the same calibre as his previous charges. He was a rank outsider for the National, and, although he did last longer than many stronger competitors, his race ended when he pulled up at Canal Turn at fence 24. Last season, in the build-up to the National, French horse Saphir Du Rheu was returned to Twiston-Davies’ command by Nicholls. 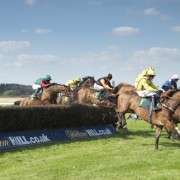 The duo had success in 2015 at Aintree in the Mildmay Novices' Chase and found form again with a victory at the Ivan Straker Memorial Chase at Kelso Racecourse. However, the French horse lasted until the 11th fence before unseating Twiston-Davies. Will Twiston-Davies Guide Blaklion To Victory? Sam last rode the bay gelding in 2015, towards the end of the 2015/16 National Hunt season. 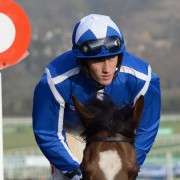 It ended in failure at Cheltenham Festival as the horse pulled up at the last fence of the Albert Bartlett Novices' Hurdle. His next outing at Aintree was an underwhelming performance at the Sefton Novices' Hurdle, finishing fourth behind Thistlecrack, among others. Since then, Blaklion has won the RSA Chase with Ryan Hatch in the saddle, while he finished fourth in the Grand National last season with Noel Fehily at the reins. 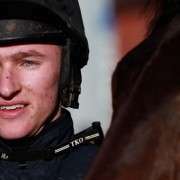 Gavin Sheehan guided the nine-year-old to victory before Christmas at the Becher Handicap Chase as the bay gelding put forward a fine performance to finish nine lengths ahead of The Last Samuri. His last outing at the Grand National Trial Handicap Chase will have sparked concerns in the camp, although father and son have insisted that they remain upbeat over their charge’s chances of winning the prestigious event. With time away from the track, there is ample opportunity to prepare the bay gelding for the challenges ahead, while allowing him to rest up. There’s also time for the junior Twiston-Davies to mentally prepare himself for a surge and the pressure of the occasion, knowing that Blaklion is the leading contender for the crown. Both jockey and horse have to be at their best over the toughest course in the business to emerge with the ultimate prize.